The guy who arrived with a cold before the tour decided to stay behind in Swakopmund and gave up on the tour. I guess tenting and roughing it is not a whole heap of fun when you are feeling rubbish. 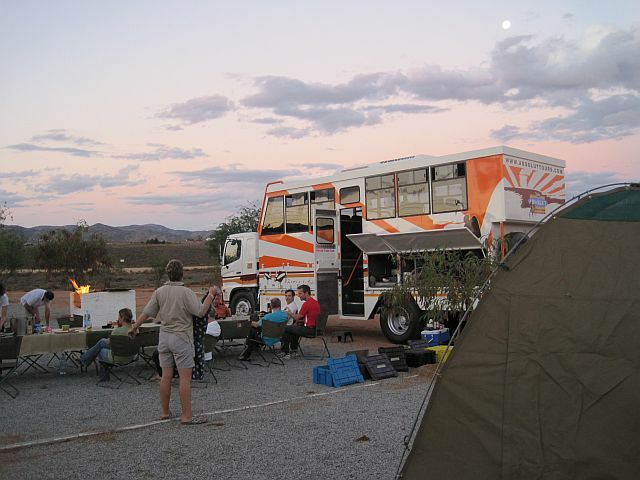 We said “auf wiedersehen” and off we went in the direction of Twyfelfontein, now only 15 of us. The roads along the way were flooded and we encountered a bus well and truly stuck. Lucky for us, our driver has worked for the company nearly two decades and knows the truck, the roads and how to drive in all conditions. 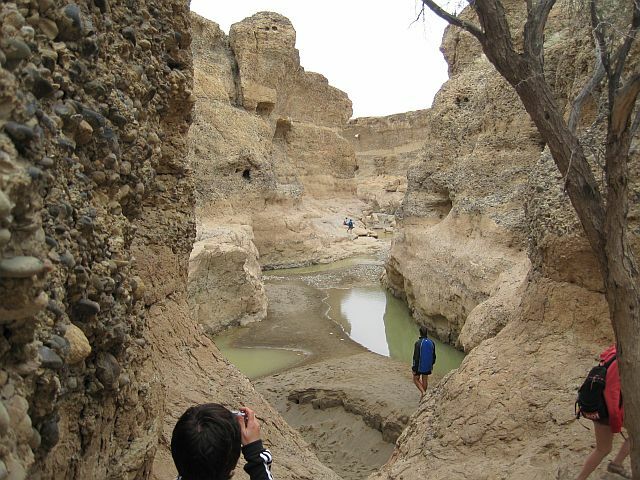 Even he was amazed at how green Namibia was, how full the rivers were and how much rain Namibia has had. We took all the required detours and never took any chances. Our next stop was the cutest camp in the desert. I was repeatedly amazed at how the locals, a mix of Afrikaners, Germans, Bushmen and Africans had been able to make comfortable lives in the harshest of environments. This camp had a system called a donkey to heat the water to the showers. See here – donkey water heating. Would have liked cell phone signal but it was not to be in many places and this was one of those places. But then again, who wants to be on the phone in the bush. Easter Sunday we woke up to a special spread put on by our tour guide. Lots of chocolate. Next we made our way toward to Okavango Bush Camp next to the Okavango River which separates Angola from Namibia. The vegetation changed from arid to savanna to green and bushy. We saw lots of Oryx, also known as Gemsbok, a sort of antelope and assorted other buck en route. 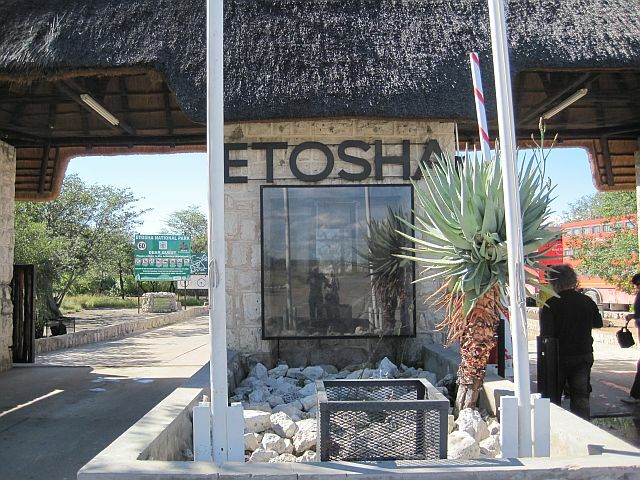 We got there earlyish and were able to put up our tents and squeeze in a quickie game drive in the Etosha National Park. We saw hyena, lion, buck, birds and some reptiles. Game reserves close at fixed times and you better be out in time or you risk trouble. We made it out in time and we knew the routine. Unpack the trestle tables, unfold and set up chairs, wash and prepare food, light the fire, get food cooking and squeeze in a quick shower. Some preferred to shower after supper so they didn’t smell like smoke. Supper was sausages with pap and traditional sauce. Pap is a sort of porridge made from maize meal. It can be cooked to be either soft or firm. It can be eaten sweet or savory. The sauce is usually an onion and tomato gravy. I had a parcel of chopped veggies baked on the fire. After supper we heated water to wash the dishes in our very own portable container and packed everything well away from scavangers such as hyena or monkeys who feel no pain to devour food rations. That night we heard lion roaring and hyena barking close by. 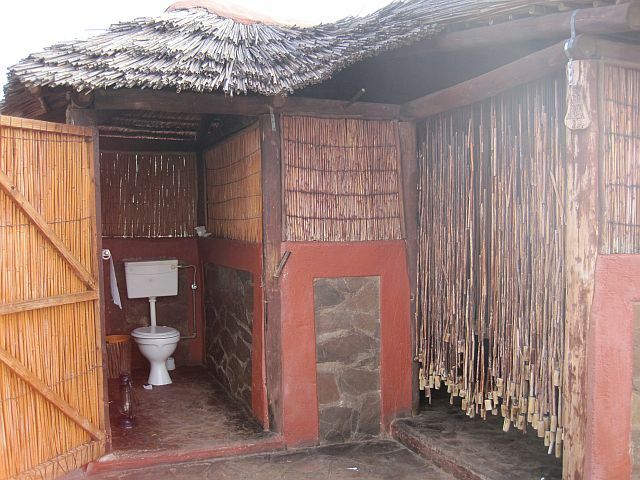 It does rather make one nervous to visit the toilet block when there are wild animals close by. Especially at night and when there is no moonlight. Supper at Sossusvlei camp was Chilli con carne, carrot salad and coleslaw. I got Chilli non carne. Amazing what our guide was able to make on an open fire. She even made an apple crumble one evening. 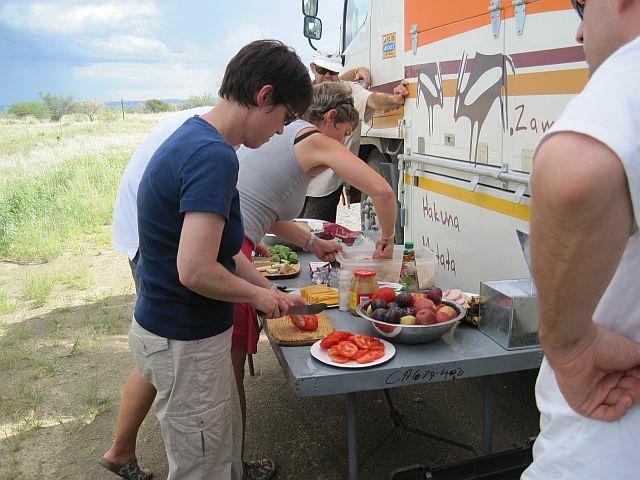 The focus was typically on local food so she cooked things like Kudu steak, Ostrich burgers and Springbok saussages. She also had a lot of German wurst type things. The guy who was not well at the outset of the tour soon passed his bugs around and most of us had a turn to feel sick. Fortunately it was nothing serious or enduring and an early night or two did the trick. At Sossusvlei camp, around 02.00am, an almighty storm passed over us. Our poor tent was tugged by the raging wind. Thunder and lightening cracked overhead. I did wonder if pitching our tent under a tree was such a good idea after all. My tent mate and I quickly closed the tent “windows”. Our rain protective “roof” blew off but we found it the next day. We got up very early to do what is clearly a custom in this part of the world and that is watch the sunrise atop Dune 45. 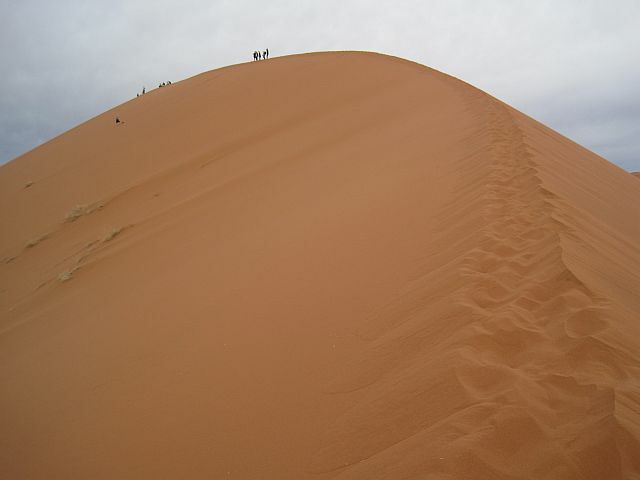 I have never climed a sand dune before. It’s like sea sand. As fast as you step, your feet slide backwards. It’s tiring. But most of us got to the top. Sadly there was no sunrise as it was a cloudy day. Dune 45 is 180 meters high. We joined the masses for breakfast as we came down from the dune. It’s a bit strange to be in a desert with sand as far as the eye can see and the smell of bacon and coffee in the air. 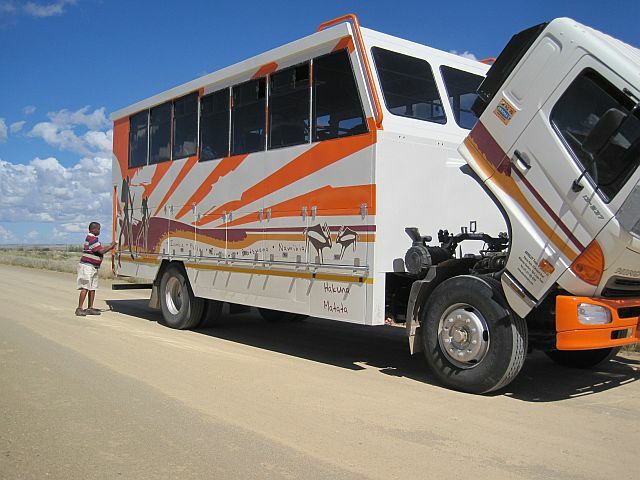 After brekka we took the obligatory Namibian tourism trucks and went to see Sossusvlei proper and Death Vlei. A vlei is a marsh. 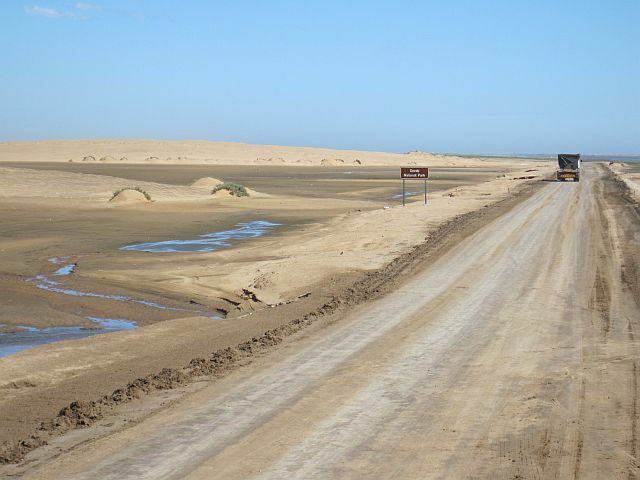 The moving dunes had blocked the water supply to Death Vlei which had completely dried up. It was while waiting for the tourism truck to collect us again that we got sandblasted in a sandstorm. It felt like hours before they collected us. We stood huddled together with sand in our eyes, ears, nostrils and hair while exposed skin was being exfoliated. Like I said, not fun. You could see the sand blowing the dunes and get a sense as to how they would move. Back at the campsite the wind had blown a couple of our tents completely onto their heads. And then . . . . more rain. We sat huddled in the bus for lunch. 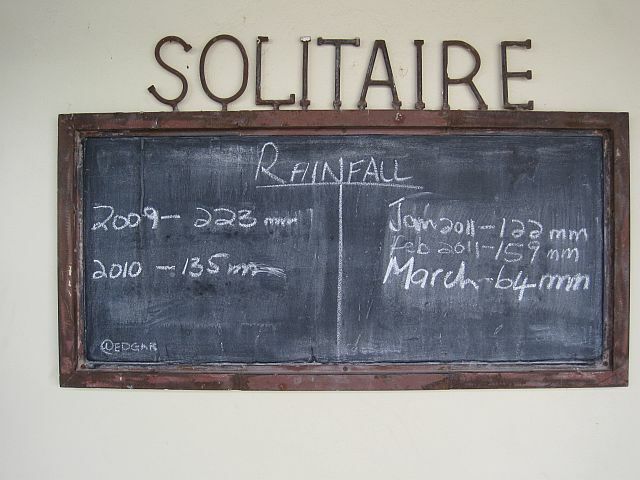 That was kind of when it was dawning on us that there had been and might still be a lot of rain in Namibia. So, we gave up the campfire idea and made our way to the bar where we tucked into red wine and cider and got to know each other. We had a pub dinner and it turned out to be a fun evening. Woke up the next morning to a perfect day. It was hard to believe the previous day was so windy and miserable. Had our usual al freso breakfast listening to the birds and each other. We piled our gear and ourselves back onto the truck and headed east toward the ocean and the town of Swakopmund. 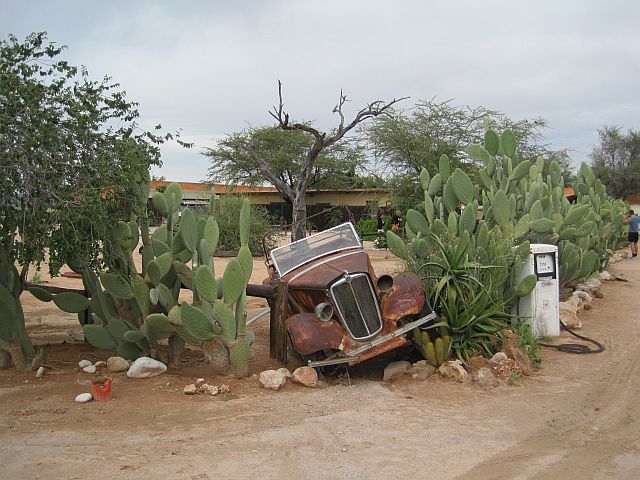 I found an olde worlde charm about a lot of the towns and truck stops in Namibia. The population is only 2 million and they seem to have gone about life somewhat removed from the rest of the world. A sort of naive eccentricity exists in many places that is so captivating and refreshing. One of the guys on the trip arrived with a cold and was feeling rubbish. 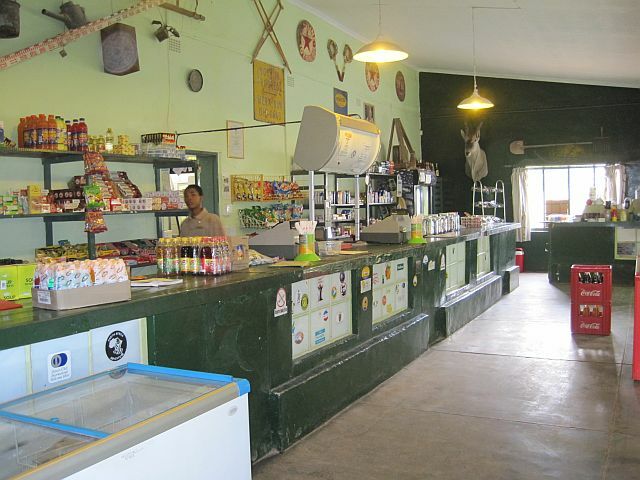 We stopped in Springbok to find a pharmacy, but being a Sunday, plus Springbok is a really remote and small place, everything was closed. We decided to move on over the South African/Namibian border and head toward Ai-Ais. 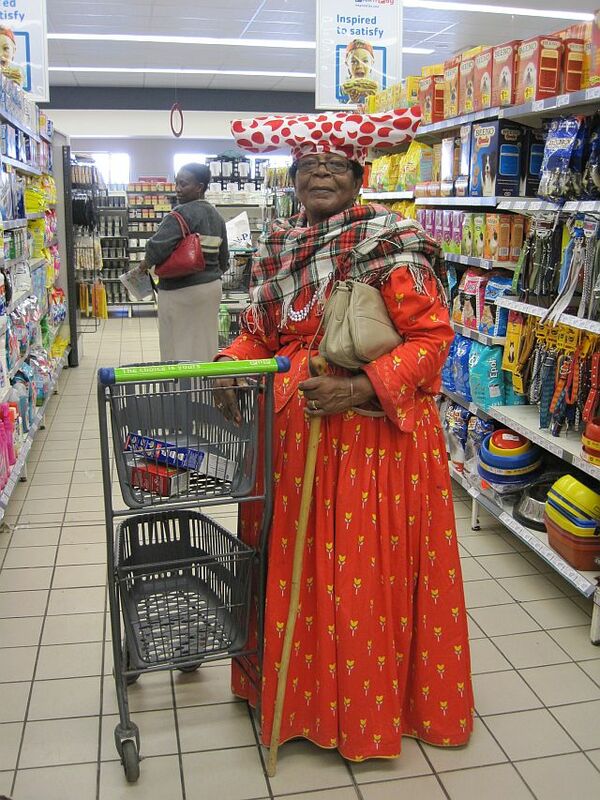 As a South African I have found immigration in many places rather trying. Because you come from Africa, it is just assumed you are desperate to defect and become a refugee in another country. Actually plenty of us are quite happy in Africa. Thankfully I had no trouble at all entering any of the Southern African countries we visited. We mastered the routines quite quickly. Lunch was typically at a roadside stop. We would haul out our food and tables and set about washing fresh fruit and preparing sandwiches with cheeses and different meats. Most people in our group helped out with the various tasks and that made it so much easier. We did have one couple that were inclined to fear when their next meal would come and ate far more than their share. This did mean others missed out on food at times. It’s amazing how group dynamics work when people don’t play fair. These two soon become very unpopular. 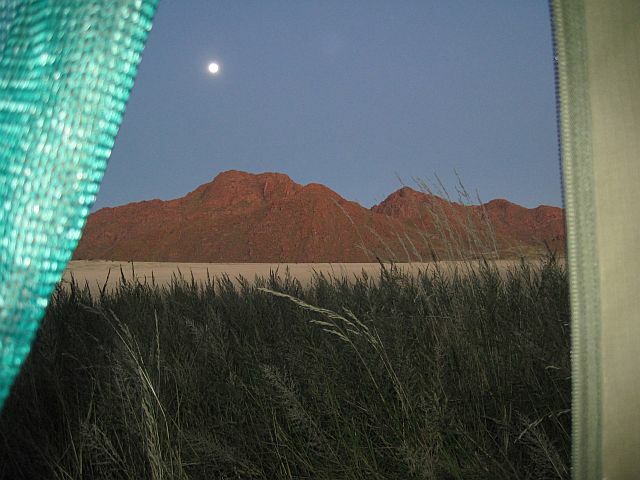 View of Tiras mountains and morning moon from the tent. We crossed the Orange River at the border. I have done some river rafting there before. There are masses of vineyards in what is a barren area. Water from the Orange River is used to irrigate vineyards along the river. 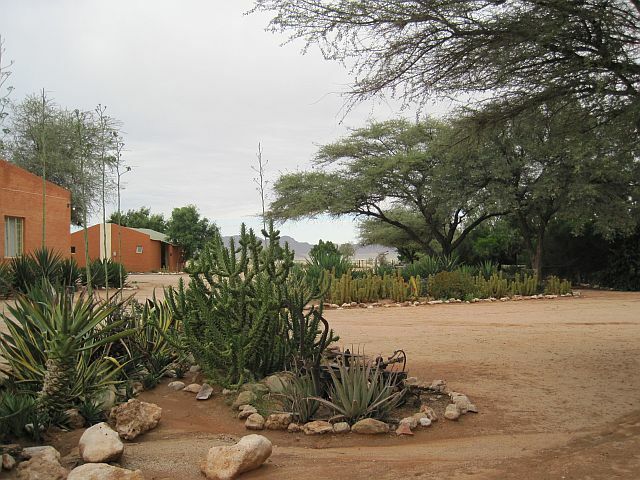 Ai-Ais is a hot spring situated at the southern end of the Fish River Canyon. We got to our campsite early and were able to have a relaxing afternoon and pitch our tents in the light of day. Some of us lounged by the pool, others visited the spa and the rest watched sport at the bar. Our driver removed aircon fan belt. Namibian time is one hour earlier and we got a bit mixed up. We left later that we should have. We regretted this when we had to pitch our tents in the dark at our next stop. Our next stop was on a private farm nestled in the Tiras mountains. We saw Oryx, Springbok, jackals, Gemsbok, feral horses and plenty bird life on the road travelling to our next stop. I didn’t realise that the desert could be so windy. We encountered a sandstorm when we visited the dunes. Not fun! Dune 45 near Sossusvlei. Those are people on top. 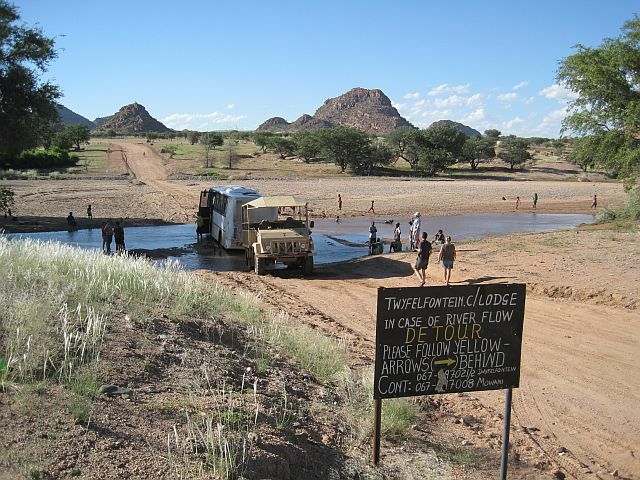 We also had to take quite a few detours due to the prolific rains that Namibia had experienced. 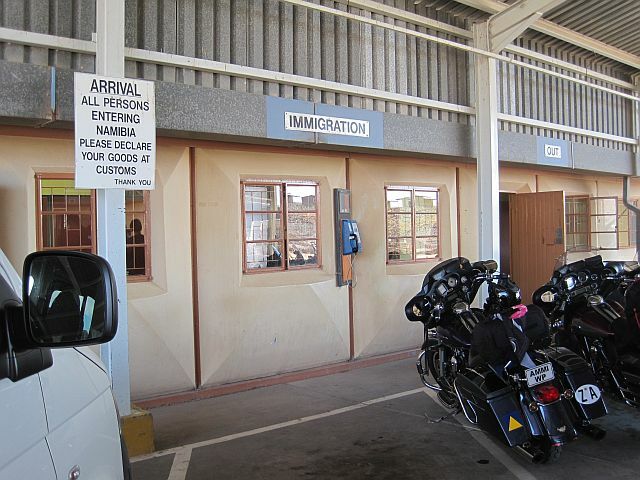 Northern Namibia was declared an area in a state of emergency by president Pohamba. The route via Seeheim had a detour due to flooded roads which added yet more time to our journey. We did a morning walkabout with the owner of the farm. 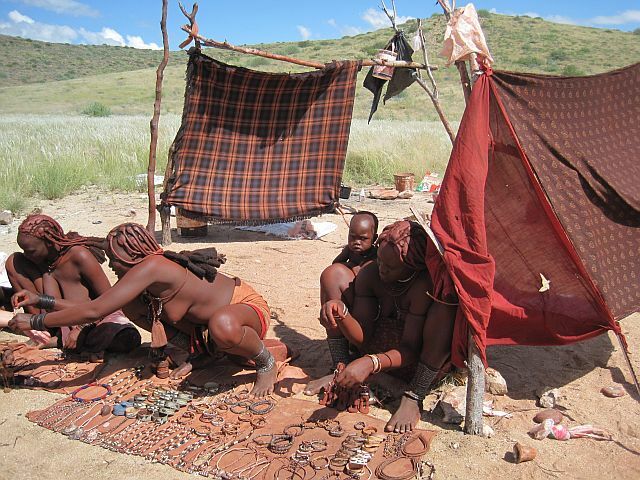 She showed us bushman paintings, medicinal plants and explained how the bushman lived in the area. 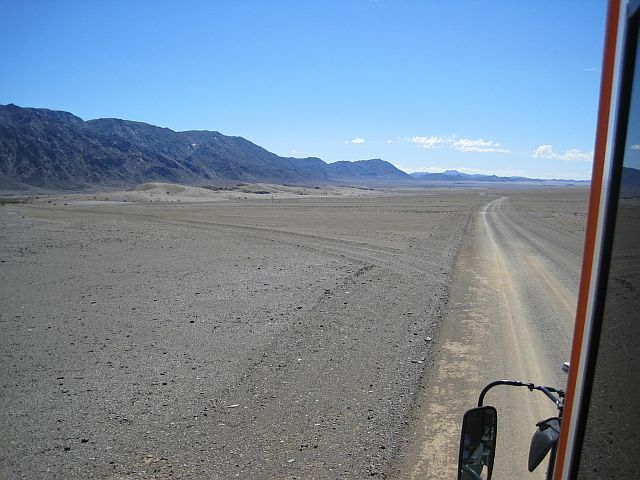 Then we headed off toward our next campsite in the Sossusvlei area. We went through a hailstorm which almost never happens in Namibia. 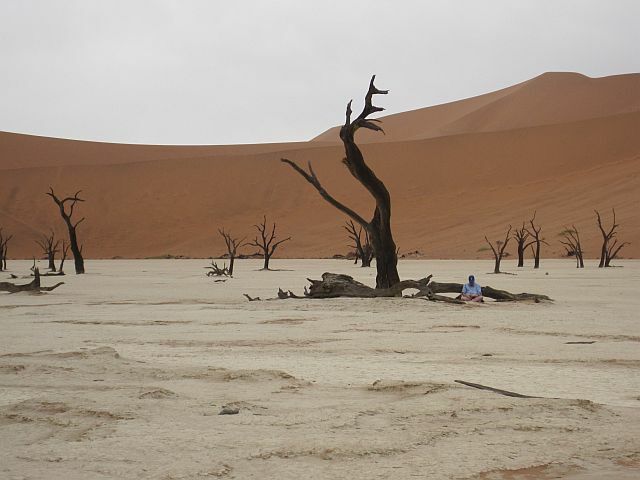 Sossusvlei is dune and desert territory. 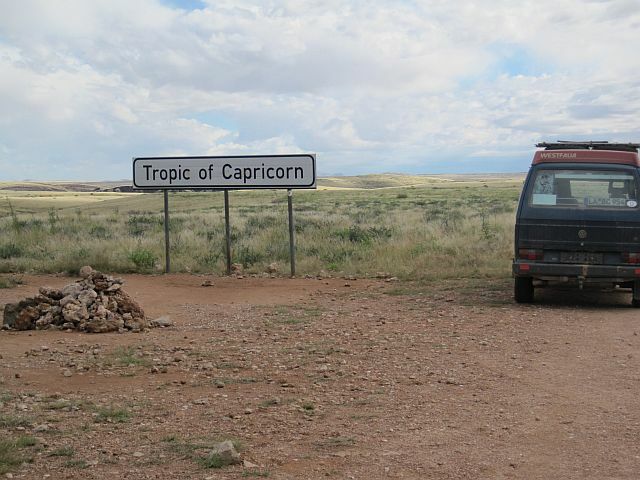 I said in my last post I would write about the road trip I have just done which covered nearly 5000 kilometers and spanned four countries in Southern African. There are plenty similar tours and a plethora of tour operators. We opted to travel with Absolut Tours as my friend is a tour guide with them. We went for a camping and DIY tour to keep costs down. Up front I have to say that if you are scared of wild animals, not willing to brave the odd cold shower or need a comfortable mattress to sleep, don’t do this kind of holiday. Our truck with tents, baggage, food, water, tables, chairs – everything! If, however the idea of listening to lion roaring from your tent, taking a shower with a bush view and happy to cook on an open fire, then this is the way to go. The terrain was varied. We travelled through savanna into the desert, back to semi arid bushveld and on to lush vegetation in the Caprivi Strip. 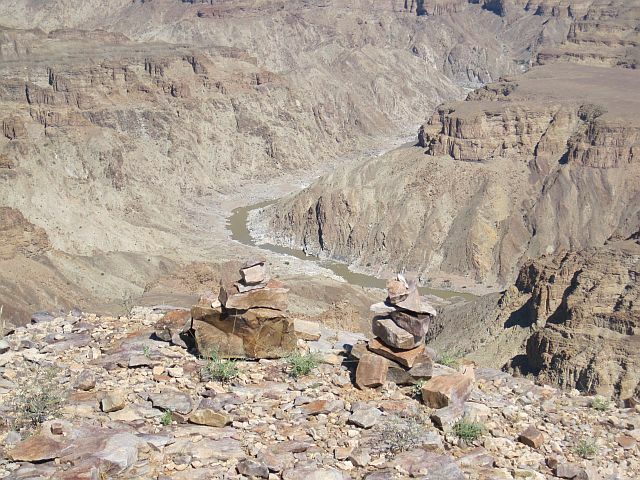 We saw the Fish River Canyon which is the second largest in the world and the Victoria Falls which are the third largest in the world. 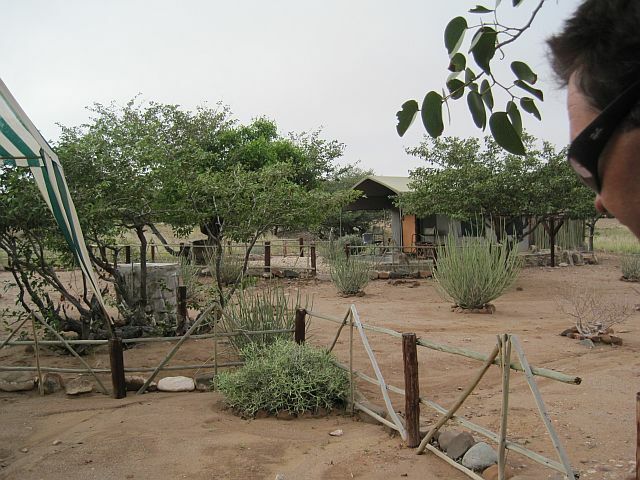 There were game reserves galore and loads of wild animals, birds, reptiles and insects. Tarred roads are not common in the south. Our truck for the 16 day trip was a customised Toyota Hino. It was designed for long road trips. It carried two chest style refrigerators, trestle tables, gas bottles, tents, luggage, fold up chairs, food provisions, water, gas cooking appliances and 16 of us. The truck collected us from the hotel where the German visitors were staying and we set off at 08.00am on the West Coast/Namibia road. That was the last time we got going that late until we had our last night at the Elephant Hills Hotel in Zimbabwe. We were a mixed group of mostly German speaking travellers and two South Africans. 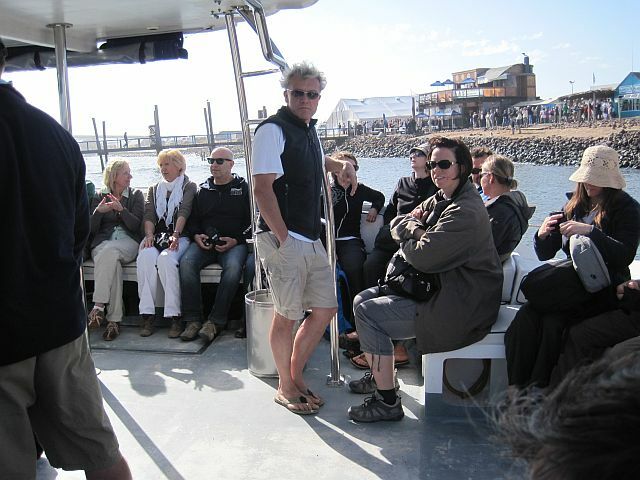 The Germans had spent the last few days prior to the trip seeing the sights of Cape Town. We had huge distances to cover with games drive, bush study excursions or boat tours to fit in as well, so early starts to the day were mandatory. 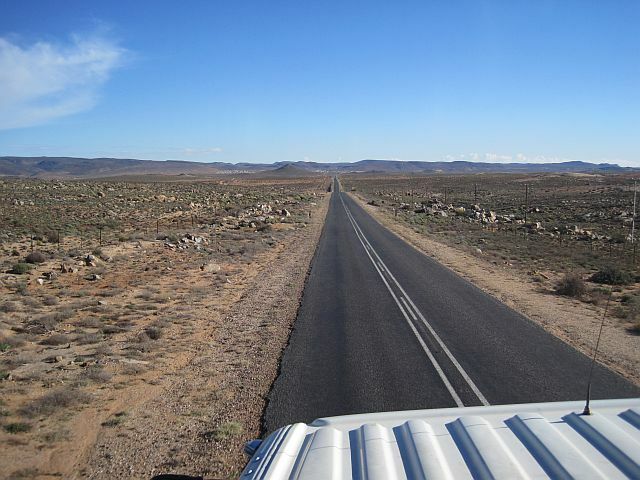 The truck made it’s way along the west coast of Cape Town and then headed toward Springbok. On our first day we did the longest distance. The plan was to get to Namibia as soon as possible. 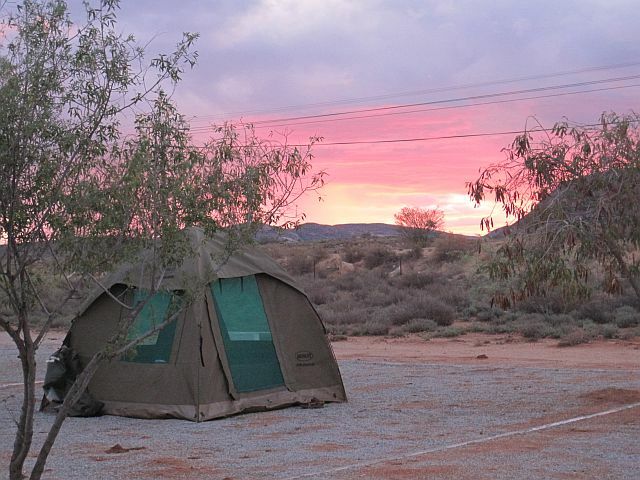 We pitched our tents just outside of Springbok and learned the routine fast. Pitch tents, get the fire going, set up tables and chairs, prepare and cook food, eat, shower and go to bed. Our first evening meal was a fish braai (BBQ), Greek salad and garlicky potatoes. There was plenty beer, cider and wine to go with our meal. I was so grateful that our guide and friend is inclined to healthy fresh food and a very good cook. As the only vegetarian in the group I feared I may end up going hungry. It has happened to me. I ate well. Can’t promise that all guides will be like the one we had.